Clinical Resource Management assists the hospital in providing quality patient care in the areas of discharge planning and social services. Identification of patients and their families requiring our services will be based on an open referral system along with discharge planning efforts of the appropriate medical and hospital staff. 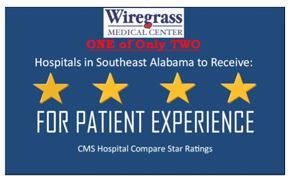 Wiregrass Medical Center provides the professional services of Clinical Resource Manager at no cost to or patients to assist them in the coordination of their care while in our hospital and after discharge. Assistance with post discharge services such as home health, home medical equipment, and long-term care are available.